Boston Barrier » The Wash and North Norfolk Marine Partnership. The multi-million pound Boston Barrier will reduce the risk of flooding in Lincolnshire. Boston has a history of tidal flooding. The town flooded in 1953, again in 1978 and more recently during the tidal surge on 5 December 2013. Flood defences through the town average around 6.00 metres above ordnance datum (AOD). The height of the 2013 tidal surge reached 6.08 metres AOD and caused extensive flooding in the town when defences were over-topped, damaged or breached. As a result, over 800 properties flooded across 55 streets. If the Boston Barrier had been in place on 5 December 2013 then it would have prevented the flooding. The Project Team submitted an application for a Transport and Works Act 1992 order (TWAO) on the 23rd August, 2016. 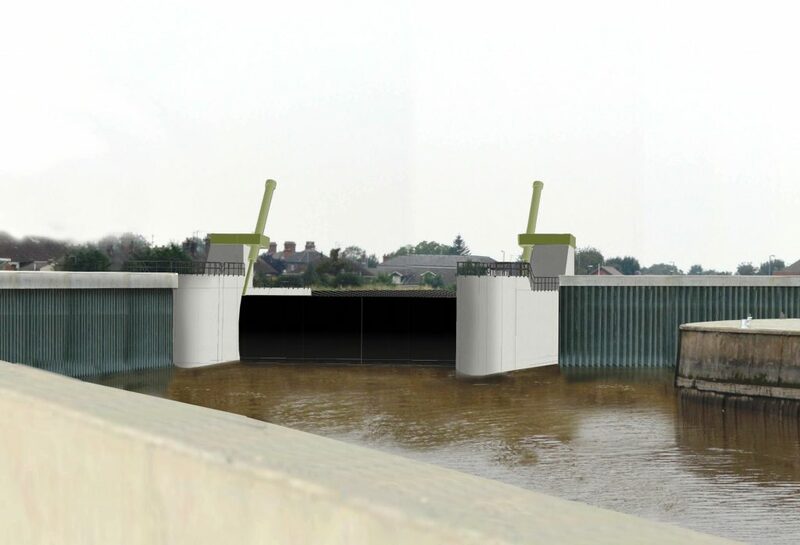 The TWAO, if granted, would authorise the Agency to construct and operate a new tidal barrier with a moveable gate across the river Witham (also known in this location as the Haven), together with a new building to enable operation of the barrier, new flood defence walls on both banks of the Haven, a replacement gate across the entrance to the existing Wet Dock and to execute ancillary works, including dredging of the river. As part of the application process, the Secretary of State at the time, Andrea Leadsom, decided that a public inquiry into the Boston Barrier Transport and Works Order application. The Public Inquiry was held by Inspector Mike Robbins at the Boston Barrier Hub from Wednesday 19th April and was officially closed on Wednesday 31st May. The Public Inspector now has up to three months to write a report for consideration of the new Secretary of State, Michael Gove. There is a programmed TWAO outcome date of November 2017. The £198million Boston Combined Strategy (BCS) was approved in March 2008. The purpose of the BCS is to “determine a 100 year strategy approach to flood risk management and navigation improvements in Boston.” The strategy identified a multi-functional barrier that both reduces tidal flood risk and manages water levels, as the best solution for addressing flood risk management and waterway objectives in Boston.